I expected this book to be about grammar vocabulary and other important basic skills. but it was about how to be an author. 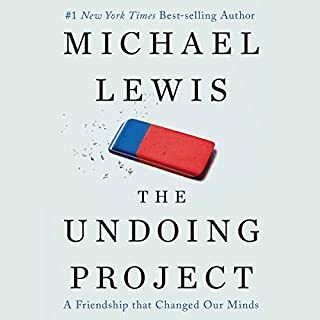 Micheal Lewis sure does insult a lot of people and countries. the book would benefit from fewer insults but it still is a fairly good book. 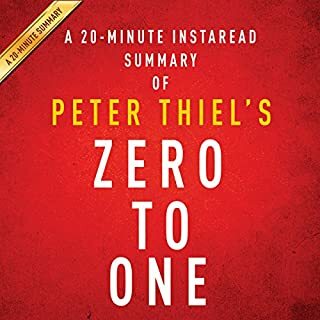 Several of the chapters repeat the same sentences several times so your 20 minute summary is more like a 12 minutes summary that takes 20 minutes of your time. Overall, the book is good. Unlike other biopics, you might have trouble applying some of the (unusual) story of the early years of Danny and Amos to your own life, but stick with it. The latter half of the book does a pretty good job giving a basic understanding of their valuable work, depicting their relationship, and describing the challenges that many collaborations face. 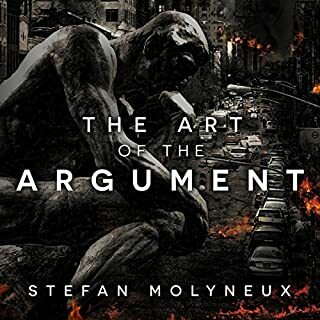 I was hoping this would be a good guide on rhetoric and logic. In that regard, it does have at least a little value, but that value is overshadowed by the long winded, poorly structured and flawed examples inspired by Stefans personal beliefs. It really takes considerable focus to ignore all the problems and focus on what should have been the real points. Too bad the book itself doesn't filter that noise out for us. I was disappointed in this book. When I purchased this book, I had a basic understanding of how the Federal Reserve works, but I wanted to fill in the gaps in my understanding and learn about its founding. Alas this book did not help much in either regard. 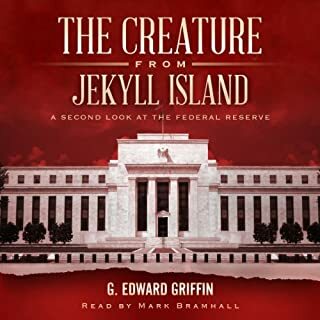 The book begins to tell a well-crafted story about the trip to Jekyll Island, but after a few minutes the story ends before the participants actually reach the Island. And it doesn't follow that with a story of what happened after that meeting. Only if the reader has the patience to reach the later chapters of the book will he, unexpectedly, find some of that story. Instead the book spends the rest of the chapter and the bulk of the book apparently trying to bash the "The Creature" with innuendo, straw man beating, sarcasm and guilt by association. The book does share quite a bit of information about anomalies and problems related to our banks, leaders, and financial system over the past two centuries, but very little of it has to do with the Federal Reserve. Ex. It vigorously points out that the FDIC apparently creates a moral hazard (and probably should be fixed). That's a great point, but the FDIC is not the Federal Reserve. -- It fails to describe where all the bailout money from the 2008 housing crisis went other than "to the banks". It doesn't mention the role of the defaulting homeowners other than to hint at them being victims. It doesn't cover what happened to the money the banks lent the home owners and that was not paid back when those home owners had to default on their loans. -- The book doesn't provide a history of financial systems being stable and non-recessionary before fiat- and fractional-reserve currency. -- It also justly points out that bank accounts really should be overtly advertised as time accounts instead of appearing to be demand accounts. That's a good point. But then it doesn't point out that banks are, by letting customers receive interest AND (not or) also withdraw their balances on demand, providing a better product for the customer than the banks reasonably can+should. ("Better" as long as one ignores the bank failures that seem to eventually occur as a result.) -- It blames the US departure from the gold standard on banks, and doesn't cover the implications of there already being more dollars in circulation than there was gold to cover them. That, and the government's role in that, needs to be covered if the author wants to blame the problem on the bankers of that time. -- The book makes an interesting point that if money is created only by lending it out for interest, there never will be enough money in circulation to pay the principal+interest off, but then the book seems to deny that conclusion by nebulously saying that the interest can be paid off with the value of labor. There is some logic to that statement, but it seems critically inconsistent with so many other statements in the book. -- These are just a sampling of the apparently important, yet incomplete, points found in the book. It is the perspective of the reviewer that the reader would have been better served if more of the book had been spent clarifying points like these and less on bashing. Bottom line, you should not depend on this book to provide a balanced tutorial on the Federal Reserve. 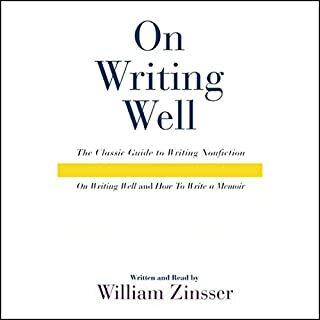 Nevertheless, it does provide one perspective and a lot of interesting facts and stories that the reader can treat as a list of topics to research on his own to get a more complete and balanced perspective. This telling can be tedious at times and many people would probably be better served by the abridged version. Nevertheless one should definitely consume one or the other. Would you try another book from Charles Krauthammer and/or Charles Krauthammer and George Newbern ? No. The writing is ornate, but weak on content. 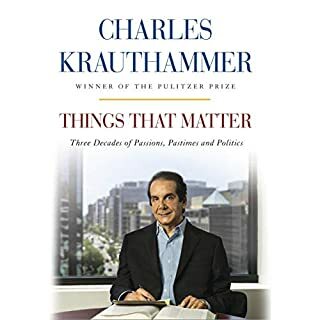 Charles Krauthammer's life clearly has been interesting and he's achieved a lot. The stories of his life are interesting. But the series of essays on various topics are on average not at all interesting or informative. What three words best describe Charles Krauthammer and George Newbern ’s performance? The performance is uninspired. That might be a function of the content though. If you could play editor, what scene or scenes would you have cut from Things That Matter? Each article would be pruned back to a third its length to focus on content, not ornate writing. Few of the articles seem worth inclusion at all right now. 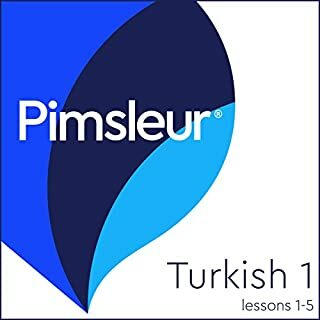 Each lesson in Turkish Phase 1, Units 1-5 provides 30 minutes of spoken language practice, with an introductory conversation, and new vocabulary and structures. Detailed instructions enable you to understand and participate in the conversation. Each lesson contains practice for vocabulary introduced in previous lessons. Would you try another book from Pimsleur and/or the narrator? 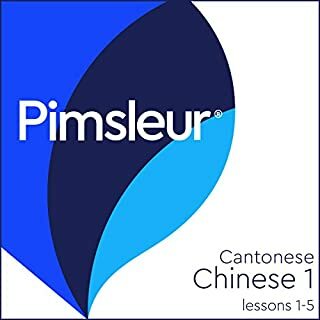 If you're a visual learner, you can probably find a better language learning series than Pimsleur, but if you do buy this, you will learn, although perhaps not as fast as you could. The words and phrases that it starts off with are not really the one's I'd tend to start with in a new country. THANK YOU is one of the most important phrases one can know. People appreciate when you can say that even if you can say nothing else. And you'll find you'll use that a LOT!! Additionally, although challenging in a audio-only book, another skill that is vital in Turkey is being able to say the words that one sees spelled out. It helps you learn even when you're not plugged in to the audio book. Obviously Pimsleur's audio-only approach can't help with that. Do you think Turkish Phase 1, Unit 01-05 needs a follow-up book? Why or why not? Yes. It's inspired me to see if I can find a language learning system that is more aligned with the way I learn and use language. I don't mean that in a disparaging way. I just don't think Pimsleur is a good match for me. 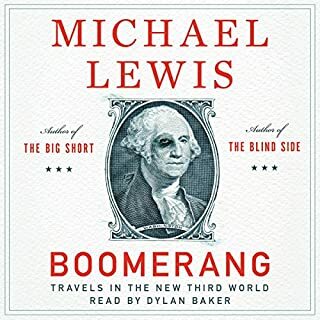 I'm glad Audible has this and I was able to pick it up in Turkey and listen to it discretely on the tour bus even if I wasn't learning as fast as I might have with another system. Each lesson in Cantonese Chinese Phase 1, Units 1-5 provides 30 minutes of spoken language practice, with an introductory conversation, and new vocabulary and structures. Detailed instructions enable you to understand and participate in the conversation. Each lesson contains practice for vocabulary introduced in previous lessons. The words and phrases that it starts off with are not really the one's I'd tend to start with in a new country. THANK YOU is one of the most important phrases one can know. People appreciate when you can say that even if you can say nothing else. And you'll find you'll use that a LOT!! Did Chinese (Can) Phase 1, Unit 01-05 inspire you to do anything? Yes. It's inspired me to see if I can find a language learning system that is more aligned with the way I learn and use language. I don't mean that in a disparaging way. I just don't think Pimsleur is a good match for me. 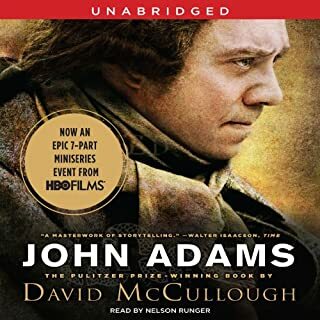 I'm glad Audible has this and I was able to pick it up in a pinch and listen to it discretely even if I wasn't learning as fast as I might have with another system.